View More In Door Viewers. Always know who's at the front door, even when you're not home. 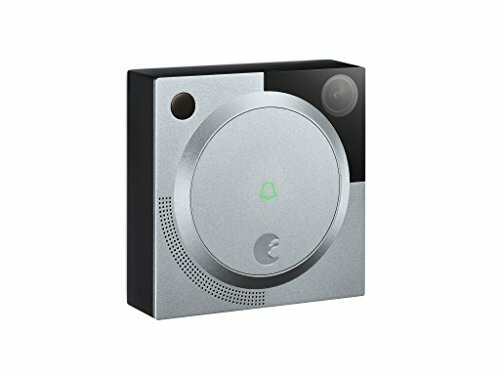 August doorbell cam alerts you every time the bell is rung and lets you see and speak with visitors from your smartphone, from anywhere. One-way HD camera gives you a clear view of visitors while ensuring your privacy. Easy to install, replaces your existing doorbell. Secure your home. Always know who is at the front door with live HD video. Stay Aware. With motion detection, get instant alerts when there's activity at your doorstep. Speak with visitors even when you are not home. Replay video of missed visitors with optional cloud recording. Replaces your existing powered doorbell. If you have any questions about this product by August, contact us by completing and submitting the form below. If you are looking for a specif part number, please include it with your message.